In a Nutshell: Gift cards can be a blessing or a curse — they’re helpful for when you might not know someone well enough to gift anything else, but they also can end up unused for years. Regardless of where you stand on gift cards, Cardpool makes gift cards great again by allowing users to buy them at discounted prices as well as sell and exchange gift cards online and in select retailers for cash or more relevant cards. 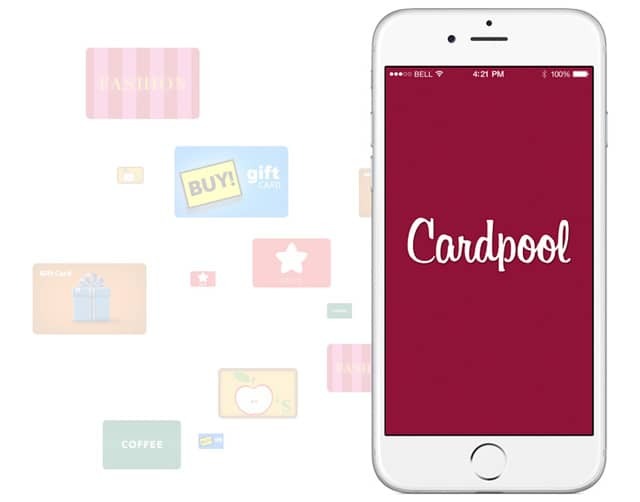 Acquired by Blackhawk Network in 2011, Cardpool acts as a secondary marketplace for gift cards, which adds to the Blackhawk brand within the prepaid card industry. Right now, I own nine gift cards, six of which have taken residence in my wallet and two are digital cards (thank goodness). The remaining card, after years alongside his gift card brethren, has been filed away in my catch-all kitchen drawer because I finally admitted I just don’t go to that restaurant often enough to keep him with me at all times. You could call me selfish for not just giving that card to someone who would use it, and you’d probably be right. I do go to that restaurant sometimes, and when I finally eat there again, I want to use that card to pay for it. You could ask why I didn’t just try to sell it on eBay or something, and for that I don’t really have a good answer except it seemed like a hassle (especially when you factor in the eBay process and fees). If only there was a company that allowed users to buy, sell, or exchange gift cards at competitive rates without additional fees, that verified card values, and that offered these solutions in stores, where it is most convenient for users. Cardpool emerged in 2009 as a solution only a Silicon Valley startup could provide for the love-hate relationship we have with gift cards — a secondary marketplace to do all of the above. 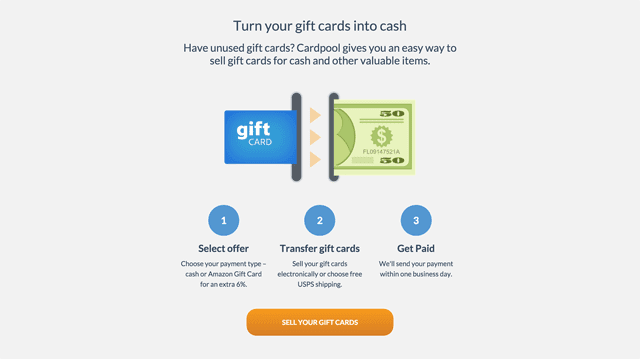 Cardpool strives to streamline the process of buying and selling your gift cards. Through Cardpool, users can sell unwanted cards for cash or exchange one card for another (even in some brick-and-mortar stores), based on current supply and demand for that card. On top of that, users can also buy unused gift cards at a discount (a great way to save extra money). Most people, myself included, receive gift cards as they’re intended to be received — as a gift. Because I am a picky person, I dread gift exchanges like Secret Santa, where I would likely be given a card to a store or restaurant I don’t actually frequent. 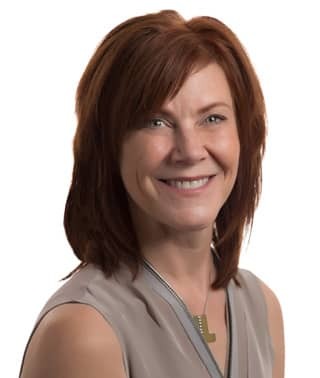 Teri Llach, CMO of Blackhawk Network, believes more people will buy cards for personal use. Teri Llach, the chief marketing officer of Cardpool’s parent company, Blackhawk Network, says Cardpool has the solution. Sell them your unwanted card for cash or a card you will use. While it won’t be an exact 1:1 exchange rate for the card’s face value, it’s still a pretty good deal considering that unwanted card would have ended up in your kitchen drawer, too. I’ve only recently started using gift cards personally (i.e., buying cards for myself to use myself), but the upside here is Cardpool offers cards at less than the verified value of them. Therefore, if you know you’re going to buy something at a particular store, you get more bang for your buck by purchasing a store gift card at a discount. You can even use the Cardpool iPhone app to buy a store gift card right before you enter the checkout lane for last-minute savings. While more people visit Cardpool to buy cards, the company does offer sales and exchanges of up to 92% of the face value of the gift card. Thanks to the Blackhawk acquisition five years ago, users can sell gift cards for cash or exchange them in select retail stores for a card of that brand. I did a quick search through their list of 400 merchants and found that larger chain stores, like Target and Walmart, have the best return (around 90% of face value). Another detail to note is that smaller denominations fetch more than larger gift card balances. If you’re happy with Cardpool’s offer, you enter the necessary information like your card number and pin, or you can mail it with a free USPS label, and Cardpool sends you a check for your unwanted cards. If you really want to max out your return, sell Cardpool physical gift cards rather than digital versions. Plus, you can earn 6% more on your sale if you exchange your unwanted gift card for Amazon credit rather than request a check. Teri and Patrick definitely sold us on the idea of scouting for gift cards when a purchase is imminent, similar to how many people turn to coupon sites for last-minute promo codes before checkout. For example, I’m in the market for new jeans, and American Eagle gift cards are currently 24% off. By purchasing a $25 card for just $19, I only pay $34 for the $40 jeans I’ve been eyeing — 15% off — and that’s a deal I can use every time I shop. Add to that whatever additional promotions the store may be running for the season, and I can see how the savings are significant. Many of the gift cards on Cardpool are digital, which means you receive the card information within one business day, but it’s often instantaneous. For physical cards, the turnaround time a little longer to account for processing and the USPS. When Cardpool was acquired in 2011, it became part of the larger Blackhawk Network, which owns and operates brands as well as invests into researching the prepaid card market. Born out of a solution for Safeway, Blackhawk is the pioneer behind the convenient “gift card mall” seen at grocery stores for patrons to access and purchase third-party cards for restaurants and other stores. 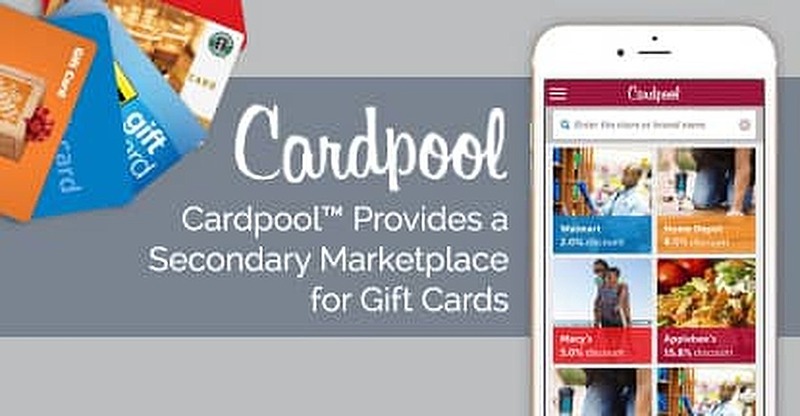 Blackhawk was able to help Cardpool take significant steps forward in the secondary gift card market through strategic partnerships with retail stores and development of a mobile application to streamline the Cardpool experience. Thanks to Blackhawk, Cardpool was able to develop an iPhone app to help make in-store use prevalent. Patrick explained that Blackhawk grew Cardpool from a business-to-consumer site to a platform that can help drive more commerce, including the recent partnership with a non-profit to take unused gift cards as donations. At this point in our conversation, Patrick and Teri have made me definitely reconsider what’s in my wallet and that catch-all kitchen drawer. I actually went home and dug up that $25 restaurant gift card to check what Cardpool would pay for it. Pleasantly surprised, the $19.50 it offered me covers the cost of the discounted $25 American Eagle gift card on its site. Time to go jeans shopping. Patrick wraps up by painting a picture of Cardpool’s main focus right now: to shorten the process by bringing the exchanges into retail stores for instantaneous redemption. “We’re helping the customer get value out of that gift card, and our focus with that is ‘getting the right brands in the right hands,’” he says.